Since appearing on the scene back in 2010, phone-based credit card readers have changed the way small business do business. They didn’t have a lot of options to begin with, even into the 2000s it involved things like the old style manual credit card imprinter and required a signature. Among the short-comings of these systems, was that everything still had to be processed manually and it took time to get the money and the practicality of small businesses using these services. This changed with the introduction of credit card readers that could be attached to smartphones. These mobile card readers are dongles that connect to your phone or tablet using either the headphone jack or Bluetooth. Payment was processed using the phone’s connection to the internet. Customers sign for their purchases using the touchscreen on the phone and receipts get emailed or sent via SMS out to the customer. Suddenly, businesses that used to only accept cash when making sales in person, had the ability to accept credit cards. This made it possible for online businesses to host pop-up events where they could sell products or sell subscriptions to their services (in the case of SaaS companies). It changed the way people were able to do business. In the early days, options were limited and making the decision about what kind of mobile card reader to get was easy. These days, however, the choice is not so simple. Not only are there more choices available to consumers, but there are quite a few different options to choose from as well. To help you make the best choice possible, we’ve put together a handy guide to help you choose the best reader for you and your business. 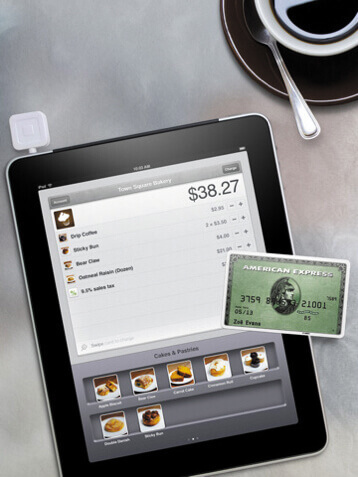 Getting a mobile credit card reader helps your business become more accessible to your customers. The more barriers that you can remove from the sale, the better, and being able to accept credit cards using a mobile card reader removes a huge barrier. 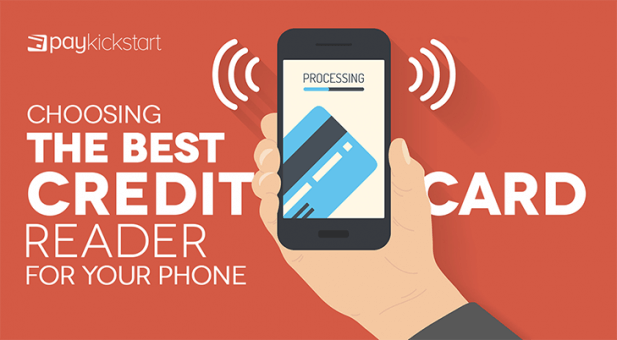 Choosing a credit card reader for your phone can be a hard choice. There are no shortage of options for businesses to choose from and figuring out which one is best involves weighing the pros and cons of each system. To help you decide which one to choose, we’ve put together a list of the top things you need to consider when picking out a mobile credit card reader. This is probably the biggest thing. It has to be easy to use, both for you and your customers. If you don’t find it easy to use, the reader will likely never get used. It’ll sit there in the box collecting dust and your customers won’t benefit from that at all. 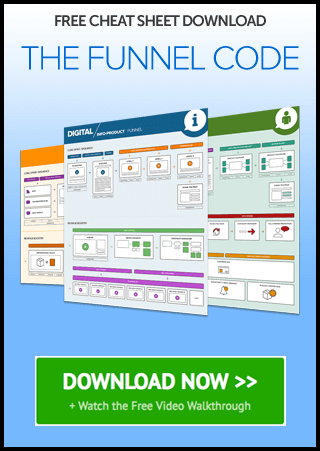 If your customers don’t find it easy to use, you’ll lose business. This can mean having the ability to tap for payment or being able to use the chip and PIN system. All of these features make it easier for the customer to pay. Having a reliable network also helps. If it’s not working, a lot of people are just going to say, “Okay. I’ll get it another time, then,” and that almost always means a lost sale. After ease of use, cost is the biggest factor that is going to influence your decision to get a certain kind of card reader over another. The costs and fees associated with card readers are pretty varied. This includes everything from free card readers to card readers that costs money, monthly (or annual) fees versus no fees, and, of course, the per transaction fee. Accepting credit cards is going to cost money no matter what, so being able to mitigate how much is being spend on a regular basis is important. Think about the features that you need when considering your card reader. One of the biggest ones is being able to connect it to your accounting software. If it’s not compatible, it’s going to create more work as you’re left manually inputting data that you shouldn’t have to input. Integrating through something like Zapier is a possibility, but that adds a layer of complication that could cut into ease of use (at least for you). It also has to be able to integrate with your shopping cart, again, to make things easy for people. If you can’t connect the two, you’re going to find yourself doing a lot more manual inputting than you’d like to be doing. The ability to work offline isn’t always going to be something you need to worry about, but if you ever find yourself in a situation where you’re not connected, for whatever reason, you’re going to find yourself wishing it was possible. The final thing to consider is what payment options you have. Not just in terms of the kinds of credit cards you can accept, which can be very important, but in terms of how payment is made. Common payment types include using the magstripe, which allows the card to be swiped. Chip and PIN is another option. The newest payment option is tapping the card for payment. Having a card reader that lets you do as many of these payments types as possible makes it easier for your customers to make a purchase. Support is one of those things that you don’t think is important until you need it, so making sure that the card reader you choose is backed by an amazing support system before you get it is going to save you a ton of frustration down the road. At the most basic level, ensuring they have enough documentation on their website to help you answer your questions can help a lot, especially if you’re the DIY type. Also consider how easy they make it to get in touch with them. How fast do they respond to emails? Is there a chat feature? How quickly can you get someone on the phone? Having the answers to these questions can help you narrow down your options pretty quickly. The speed at which you get your money is another big factor. This can be something that means the difference between making money and waiting for money. The time it takes for money to reach your account varies from a day to upwards of a week and factors like what country you’re in and what currency you’re dealing with. Being able to get your money as fast as possible is always ideal. Having to wait for money to be sent to your account is frustrating. You should never have to wait longer than a week to get your money. Finally, there’s security. This is an area where things have to be air tight. There is zero room for issues when security is concerned. End-to-end encryption is a must and you want to make sure that your card reader is at least Level 1 compliant with Payment Card Industry Data Security Standard (PCI DSS). A card reader that isn’t as secure as possible risks costing you money and destroy the trust that you’ve built up with customers. It’s just something that you want to avoid at all possible costs. When it’s time to pull the trigger on a mobile card reader, the first thing you need to do is think about which of the factors listed above are the most important to you and your customers. Think about what stage your business it at, how many transactions you’re doing on a regular basis (and weigh that against the fees you’ll be paying) and whether or not the card reader is going to be something that can meet your needs six months down the road. Don’t be afraid to have conversations with the people who provide the readers, too. Sometimes that’s the only way to make the final choice when you’ve got a few different readers that look like they’ll work. Once you’ve made the choice, you can take advantage the newfound mobility of your business. Douglas Paton has been creating engaging content for 20 years. He loves the mixture of data and storytelling that makes complex topics approachable and fun. He’s written for companies such as National Geographic, Scholastic Inc., and IHG Hotel Group.